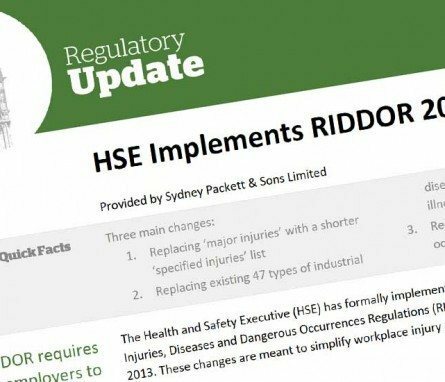 The Health and Safety Executive (HSE) has formally implemented changes to the Reporting of Injuries, Diseases and Dangerous Occurrences Regulations (RIDDOR), effective from 1 October 2013. These changes are meant to simplify workplace injury reporting requirements while ensuring data collected gives an accurate and useful picture of workplace incidents. These changes affect all employers in England, Scotland and Wales. If you need any further information or would like to discuss any aspect of this, please do not hesitate to call us.